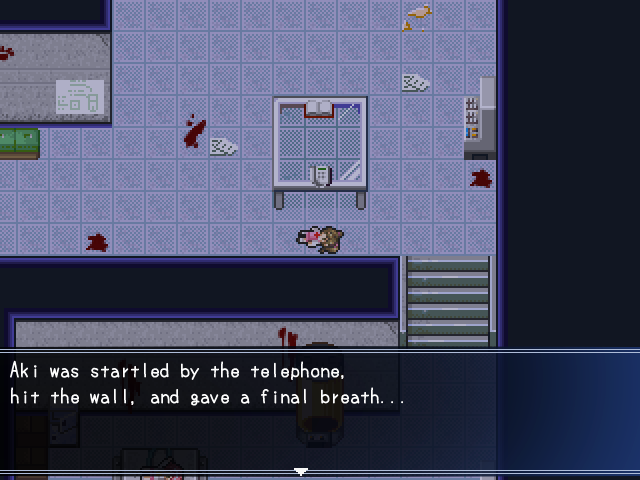 Misao is a freeware horror adventure game by Sen (Miscreant's Room) made in WOLF RPG Editor. 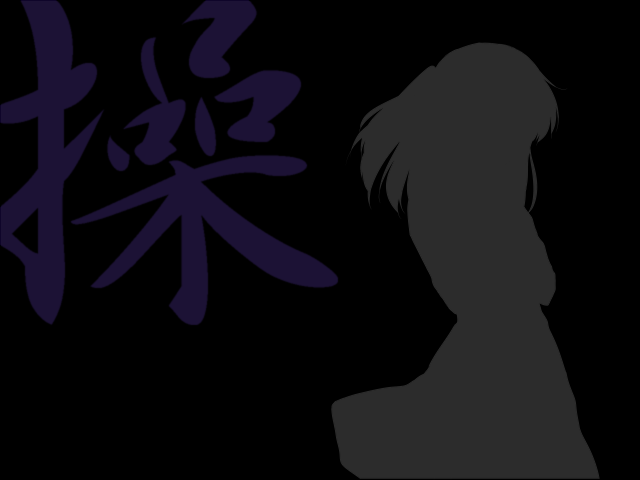 It's been three months since the mysterious disappearance of Misao. No one has any idea where she could have gone, but many believe she's dead by now. This game contains grotesque imagery and depicts violence, murder, bullying, and sexual assault. Be warned that there are also many scenes in which characters do and say unpleasant things. Playing this game is strictly forbidden for those unable to make a clear distinction between reality and fiction. Click here for more detailed content warnings. A scene involving sexual assault of a young girl. 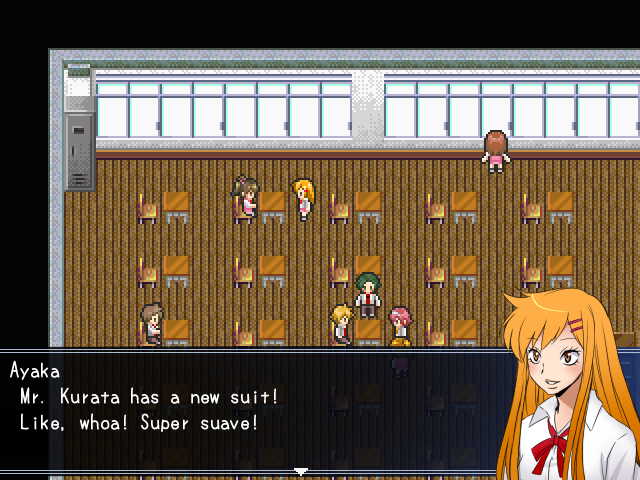 A remastered version of Misao is available on Steam and Playism for $5. The original version will remain free here, but you can show Sen your support by purchasing the remaster. The game's engine is made for Windows only, with no native support for other platforms. To play on Mac, you can try a general-purpose tool like WineBottler. Videos and streams are allowed, but should not be monetized. Including the game's title and linking the game page/store page in any videos of it is appreciated. Make sure to extract the game to its own folder instead of running directly from the ZIP file. If you don't do so, any saves made will be lost the next time you run the game. If the game freezes your computer on startup, it's likely caused by a problem with auto-installing fonts. Go into the Data folder, install all of the fonts, then delete the font files and try running the game again. It's supposed to install them automatically, but this seems to freeze some systems - deleting the fonts will stop it from trying. If dialogue doesn't show up or uses the wrong font (which may cause cutoff text), manually install the fonts in the Data folder. The main goal of Misao is to collect six key items to offer at an altar. You can go for them in pretty much any order, so it makes most sense to give the steps for getting each item. I spoiler-tagged a few of the puzzles; click or highlight the black boxes to show the spoiler text. Remember you can get hints in the 2F Library, so I suggest looking at those before you consult this walkthrough. Go to Class 2-A (2F) and free Kurata from the locker. Examine the locker Kurata was in to find a Locker Key. Go to the 1F Staff Room and use the key to open the lockers there. Go through the scene with Yoshino in the 1F Science Lab. You'll end up covered in blood. Get the Bat from the locker in the 1F Hall. Go outside from 1F to the Abyss and go down the well. There are secret hiding spots in the sides of the hallway. After smashing the third boulder, run back and hide in them. Step into the water to wash off the blood. The way will then open. Get the Lilies from the 2F Library. Examine the blackboard in the 1F Hall for a hint on what to do with the Lilies. Go to Class 2-A (2F), 2-B (2F), and 3-C (3F) and check the corresponding desks (marked A, B, and C) to find vases. Put Lilies in each. After all the spots have been adorned, go to the Rooftop from 3F. After freeing Kurata from the Class 2-A (2F) locker, go to the 1F Infirmary. Go to the 1F Staff Room and look for the tranquilizer as instructed, then return to the 1F Infirmary. Go to the 3F Principal's Office and smash the vase with the Bat for the Emergency Exit Key. Go to the right 2F hallway and use the key in the room ahead. After the scene, go to the 1F Boys' Bathroom and open the car door. Go into the Girls' Bathroom and knock on the far-right door three times. Flush the toilet in the stall that opens, then get around Hanako to get Coins from the other toilet. Use the Coins in the 1F Hall vending machine to get Pocari Sweat. Go into the 1F Boys' Bathroom to see a scene with Saotome and Tohma. Find Tohma in Class 3-C (3F). Take him to the 2F Library. Give Tohma the Pocari Sweat to get the Small Key. Check the capsule containing the mandrake in the 1F Science Lab to release it. Read the note on the table about salt mandrakes. Get Salt from the mandrake. Guide it right below the telephone to make it faint from fright. Place Salt on the floor in the left 2F hallway (in the place where the spirit appears) to stop the looping. In the 2F Music Room, sit still in the chair and listen. Use the Small Key to open the chest for the Boot Disc. Use the Boot Disc on the upper machine in the 1F Science Lab. There's a hint for the password nearby. The first password is 78450. Go around the capsules and input another password on the terminal there. The second password is 31269. Once you have all the parts, go to the Altar outside, place the parts, and inspect the lantern at the top. Return to Onigawara to find out the last thing you need to do. Make your choice, use the Bat, then return to the Altar. The true ending is rather straightforward, so I don't think a walkthrough is necessary. The secret password it asks for at the end can be learned by talking to Onigawara and choosing the invisible third option. If you don't want to go back to find it, it's ABANDONHOPE in all caps. Go to Classroom 2-B (2F, right hall) and free Kurata from the locker. Go to the 1F Faculty Room (left door). Talk to Ayaka while you're here, and go left into the Locker Room. Use the key to open the leftmost locker (avoiding the blood spot). Head to the 2F Laboratory (keep going right). Pick up the CD-ROM and leave. Go to the 3F Computer Room (top-left door). Leave and grab the fire extinguisher in the hall. Afterward, check the computer with the red screen. Use the CD-ROM on the other glowing computer and deactivate the security. Return to the 2F Laboratory. Pick up the Plant Enrinchment that falls off the shelves. Check the test-tube with the black mandrake to get the Mandrake Bomb. Go down a room to find Yoshino. Try to help her. Try to hide in the shelves by the top wall, then give up and take the Scalpel inside. Use the Scalpel on the bear costume, then hide inside. Afterward, check the glowing object where Yoshino was. Go down to 1F and exit north to the Courtyard. Walk into the water to wash off the blood and unlock the altar door. Get the Metal Bat from 1F Classroom 1-A. Go downstairs from 1F to the Caves. When you encounter boulders, place the Mandrake Bomb, hit it with the Metal Bat, and run away. Continue along avoiding danger. At the cliff edge, walk in front of the single mushroom and jump off there. Get the Seeds from the bag on the Rooftop. If you didn't already, get the Plant Enrinchment from the 2F Laboratory - it falls off the shelves after passing where the laser was. Plant the Seeds in the flowerpot in Library's room (connected to the 2F Library). Use the Plant Enrichment on the Seeds. Leave the room, re-enter, and pick the Purple Lilies. Go to the 3F Art Room (bottom-left door) and use the Purple Lilies on the set of paints to make them White Lilies. Afterward, run out of the room, then to another exit, because the monster also follows you into 3F Hall. Get the Board Notice from the 1F Hall for information on what to do with the White Lilies. Go to Classroom 1-A (1F), 2-B (2F), and 3-C (3F), and at the corresponding desks (marked A, B, and C), place a lily. After all the spots have been adorned, go to the Rooftop and talk to the girls. After freeing Kurata from the 2F Classroom 2-B locker, as well as talking to Ayaka in the 1F Faculty Room, go to the 1F Infirmary. Go to the 1F Faculty Room and check Kurata's desk (the top-left one). Then return to the 1F Infirmary. If you haven't already, get the Metal Bat from 1F Classroom 1-A. Go to the 4F Principal's Office and smash the vase with the Metal Bat for the Emergency Exit Key. Go to right on 1F. 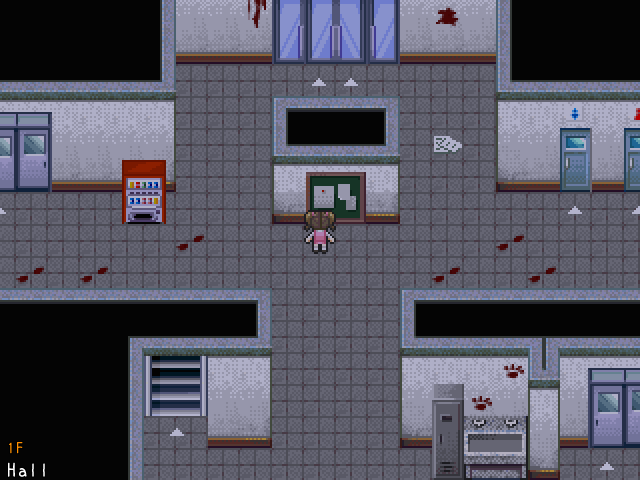 Walk down the hall without "looking back" (taking a step downward), ignoring the illusion of Misao, and use the Emergency Exit Key on the door. After the Gymnasium scene, check Kudoh's spirit, follow it up to 3F, and talk to it by the hole to the right. Go into the 1F Girls' Bathroom and knock on the right door three times. Wait for her to "dash," then run past her while she's hopping in place. Get to the right toilet and grab the Coins. Use the Coins in the 1F Cafeteria vending machine to get a Sports Drink. Find Tohma in the 1F Boys' Bathroom (after the 3F Computer Room scene). Once Tohma is in the bed, give him the Sports Drink to get the Small Key. If you haven't deactivated the laser in the 2F Laboratory or done the Yoshino event, see the start of Muddy Boots. In 2F Laboratory, check the glowing screen (it turns on after the Yoshino event) to release the Salt Mandrake from the capsule. Read the note on the table about Salt Mandrakes for a hint. Guide the Salt Mandrake right below the telephone (and beware of it yourself) to make it faint from fright, then pick it up. Take the Salt Mandrake to the 1F Cafeteria and use it with the electric grater in the kitchen to get Salt. Place the Salt on the floor in the left 2F Hall (in the spot where the little girl spirit appears) to stop the looping. In the 2F Music Room, walk into the top-left desk chair and sit still until the end of the performance to get the Locked Box. Use the Small Key to open the Locked Box and get the Warding Bell. Go to the 2F Laboratory and go behind the capsules - the spirit will be scared off by the Warding Bell. In the Doll Room, take the Red Blazer from the top-right doll. Once you have all the key items, enter the Altar in the Courtyard, and offer up the six keys. Sacrifice either Tohma or Kurata, then return to the Altar. 4F Principal's Office: Inspect the rose vase (before breaking it). Rooftop: Walk to the edge where the shoes are (before placing the White Lilies). 1F Hall (Left): Get grabbed by the corpse who falls. 3F Classroom 3-C: Check the desk in the middle with bloody writing on it. 3F Classroom 3-C: Go out the right-side exit. 2F Library: In your first meeting with Library, refuse to be her friend twice. 2F Library: Read the note between the bookshelves in the top-left. 2F Library's Room: Check the bookshelf in Miss Library's room and choose not to read the book. 1F Hall (Central): Check the wall that blood drips down from. 1F Locker Room: Step on the bloody mark in front of the locker. 1F Locker Room: Push the fallen locker off into the abyss and stand still. 1F Girls' Bathroom: Get caught by Hanako. 1F Cafeteria: Eat the food. 1F Infirmary: Take a nap in the top bed. 1F Infirmary: Stand on the measuring scale for a few seconds. 1F Classroom 1-A: Walk over the moving hole. 1F Hall (Right): Turn back toward the doll. 2F Hall (Left): Walk by the cracked window. 2F Hall (Right): Check the red switch (or, while all bloody, just walk over the line). 2F Classroom 2-A or 1F Infirmary: While covered in blood, free Kurata from the locker in 2-A or see him in the Infirmary. 2F Laboratory: Walk into the laser before disabling the security. 3F Computer Room: With the CD-ROM, choose to increase security. 2F Laboratory: Walk in front of the phone on the table. 2F Laboratory: Walk behind the test-tubes with the floating head (before getting the Warding Bell). 2F Laboratory: Drink the drink on the table. 2F Science Room: During the hiding scene, hide below the shelves to the right. 2F Science Room: During the hiding scene, jump in the hole to the left. 2F Science Room: During the hiding scene, hide between the anatomical model and skeleton. 2F Science Room: During the hiding scene, hide in the test-tube. 2F Science Room: During the hiding scene, hide in the open cardboard box. 2F Science Room: During the hiding scene, insist on hiding in the shelves at the top. Underground Cave (Boulders): After hitting the Mandrake Bomb with the Metal Bat, don't run away. 2F Music Room: Play the piano. 2F Music Room: Leave your seat mid-performance. 2F Doll Room: After entering the back room, walk past the middle table, then check the doll lying down after she opens her eyes. 3F Art Room: Check the black canvas on the left. 3F Art Room: Get caught by the bust after painting the lilies. Underground Cave (After Using Bomb): Follow the zombie into the crevice. Underground Cave (After Using Bomb): Get caught by the zombie that comes out of the water. Underground Cave (Cliff Edge): Walk down off the edge (at the incorrect position). Courtyard: Read the rightmost of the three graves. Below are all the songs in the game and their sources. Note that there may be some spoilers in the track names. Do not reupload these songs elsewhere without permission from their respective creators.